WTL Blog — Where's the Love, Philadelphia? A question I'm commonly asked when I speak to people about WTL is "what policies would you suggest?" People want to know what petition they can sign, what letters they can write to their lawmakers, what rallies to attend. I wrote the following editorial shortly after spending the summer of 2016 in D.C., working as a political journalist on Capitol Hill. It focuses on the rhetoric of gun violence in the context of advocacy and legislative initiatives in the U.S., and I think it also speaks to the reasons that WTL doesn't always present answers to these questions. My time on the Hill coincided with a renewed push for gun control legislation in response to recent mass shootings, as well as several highly-publicized incidents of police brutality. But as someone who had spent the previous couple years interviewing Philadelphians about the effects and causes of gun violence, it seemed like there was a critical element missing from the national dialogue. Connections between the national rhetoric of gun violence and the mission of WTL sometimes seem difficult to draw, not simply because our focus is local, but because the issues at the focus of our project are complex, systemic, and hard to mobilize around - they are issues that tend not to be represented in major public initiatives. Without detracting from the tragedy or significance of mass shootings or police brutality, Where's the Love, Philadelphia? aims to help fill in an important gap that we see in national and local rhetoric - fostering dialogue and awareness around gun violence and its effects on individuals and communities who consider it to be a daily reality. For many Americans, the term “gun violence” brings to mind images of police brutality or mass shootings. And a quick look at the past year’s news cycle reveals no dearth of news coverage of - and public outrage over - gun violence. But something is missing in the dominant rhetoric surrounding gun violence, and in arguments for increased gun control measures by both activists and lawmakers. The majority of gun deaths in America are suicides; among homicides, mass shootings make up less than 2% of gun deaths and police shootings roughly 3%, according to a FiveThirtyEight analysis of CDC data. Despite this, discourse on gun violence in America has largely followed two narratives: police brutality and mass shootings. 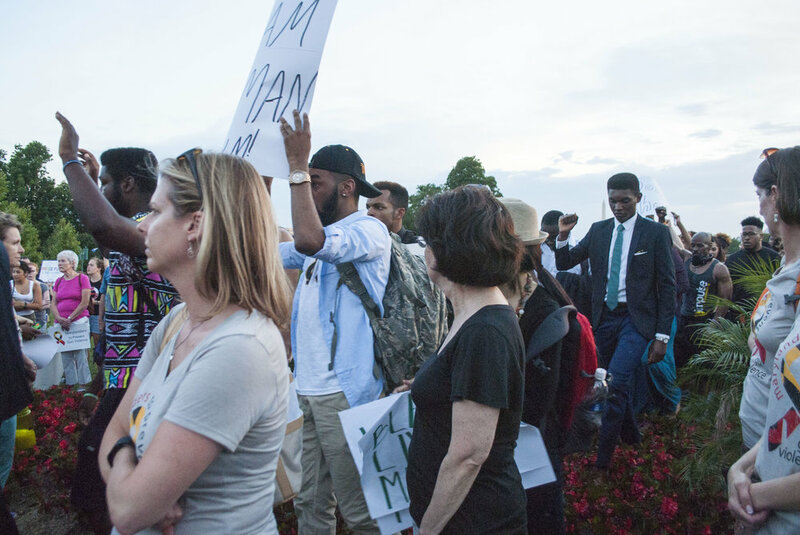 Activism surrounding the former has always been paired with racial issues, while the latter has brought the issue home to Americans of all walks– after all, some of the most notable mass shootings have been at schools in suburban, white America. In the past, moderate and swing-state Democrats have been hindered on gun control by the same NRA bogeyman that binds Republicans. Some, like Pa. Sen. Bob Casey, have used mass shootings as a justification to shift their positions and support gun control measures. June’s mass shooting at the Pulse nightclub in Orlando catapulted gun control to the top of the legislative agenda, prompting Democrats to stage a dramatic filibuster and unprecedented House sit-in to insist that the Republican majority schedule a vote on two gun control measures – expanded background checks and prohibition of gun sales to individuals on the “no-fly” watch list. Led by civil rights movement hero Rep. John Lewis, Democrats finally seemed to have a unanimous congressional coalition behind initiatives that they’ve called “common sense” gun control. The sit-in was encapsulated by chants of “No bill, no break!” and signs proclaiming #DisarmHate displayed against a rainbow background. While Representatives spent their 26-odd hours on the floor sharing stories and speaking out against gun violence of all types, these slogans tied the event most closely to partisan tension between Democrats and Republicans, and to hate crimes and the mass shooting at Pulse. Only weeks later, another important hashtag returned to the spotlight: #BlackLivesMatter. In the latest of a seemingly endless feed of high-profile police shootings, Alton Sterling’s death was caught on video, and the Philando Castile’s death was live streamed on Facebook the next day. The disconnect between Black Lives Matter and the new Democratic coalition was noted by political analyst Charles Ellison, who said House Democrats would likely not have endorsed Rep. Lewis had his sit-in been spurred by, say, a slew of weekend killings in Chicago. But furthermore, even as the Black Lives Matter movement ties efforts to enact gun control to the demographic that gun violence most affects – the homicide rate for blacks is more than four times that for whites – its focus on police brutality has also directed attention away from the everyday reality of gun violence in many American communities. An April YouGov poll showed that a plurality of black Americans think violence within black communities is a bigger issue than racial injustice in the justice system. Brookings fellow William Julius Wilson writes of “the other side of Black Lives Matter,” saying the movement would do well to focus on crime rates in impoverished communities. While mass shootings show that “it can happen to anyone,” this is even more true for black Americans living in high poverty neighborhoods – they are almost 20 times more likely to get shot than other black Americans. Framing gun violence and gun control through mass shootings, terrorism, hate crimes, and police brutality can be successful in mobilizing support, but constrains dialogue to extreme cases. This framing ignores the more complex and politically-fraught issues of socioeconomic inequality that accompany cultures of violence deeply ingrained in many American communities – not to mention the problem of suicide, the cause of almost two-thirds of gun deaths. President Obama has called out Congress not only for inaction but for upholding a law that effectively bars the CDC from conducting research that could be used to “advocate or promote” gun control. Surely a change in this implicit ban would be a tangible step towards understanding the issue of gun violence at a systemic level, as well as a symbolic step signaling a shift in the political landscape. Ultimately, we need to focus on gun violence as a nationwide epidemic. America has the highest rates of gun deaths in the world. A study based on 2010 World Health Organization data shows gun deaths in America constitute 82% of gun deaths among 23 comparable high-income countries. Our gun homicide rate is 25 higher than most of these countries, and 49 times higher among 15 to 24 year olds. While the Pulse shooting was the deadliest mass shooting in history, Florida is no stranger to gun violence. State records show that 767 gun homicides happened in Florida in 2015. According the The Trace, it was among the top five states with a disproportionate rate of gun homicides. President Obama called for a “politicization” of gun control – for lawmakers to be held accountable for enacting gun control. Perhaps some of the mechanisms are already in place for this in terms of specific gun control measures; for example, a 2015 Pew study showed overwhelming bipartisan support for expanded background checks, one of the measures proposed by Democrats this June. But while Americans have long polled in support of specific gun control measures, they have not concertedly demanded that lawmakers - local or national - address gun violence as a national epidemic. The racially charged politics of Black Lives Matter and its “All” and “Blue” counterparts may not ever be reconciled in political consensus. But we should be politicizing America’s gun violence epidemic – we should call for consensus and accountability in addressing the devastating reality of everyday gun violence in America. This political accountability has to start with raising awareness about an issue that demands our understanding and sustained attention. Gun violence goes beyond police brutality and gun access. It stems from issues of poverty, education, criminal justice, residential segregation, and drug culture, among other factors. Systemic issues like these aren’t easily encapsulated in a graphic dashcam video or a trending hashtag, but they are a daily reality for millions of Americans. Coming soon: a Where's the Love Philadelphia photobook! Some of the WTL founding team has reunited to adapt narratives from our site and publish them in the form of a photobook, and we've just launched a Kickstarter campaign to help make this a reality. We hope our photobook will serve to commemorate and archive the stories captured over the last four years, and allow us to share them with new audiences. But most importantly, we are excited to gift these books to our interviewees and partners, who have given their time and heart to share their voices to this project. We are indebted to them for helping make us better-informed neighbors in Philadelphia, even when the social change we'd both like to see is slowly still in progress. Please check out our Kickstarter page to learn more, and donate or spread the word if you're able. The campaign will run through Wednesday, August 1. All funds raised will be used to print books to distribute to our interviewees, community partners, and other community organizations. Where’s The Love, Philadelphia? is excited to continue our work this year with new additions to the team! A committed group of (mostly) freshmen at the University of Pennsylvania have filled several roles in our organization on the writing, design, and marketing teams. Read below to learn about why each of our new members decided to join WTL, what they heard about Philadelphia before coming to the city, and their impressions from their time here. Ajibola Bodunrin: I joined WTL, because I could not comfortably sit on University of Pennsylvania’s campus knowing that just a few blocks away people are suffering. I want to hear the stories of the real citizens of Philadelphia and share them, so they could hopefully become a catalyst for positive change. I want to be an ally and allow the people who are actually experiencing gun violence in Philadelphia to have a platform to tell their stories.When I first got to UPenn, a lot of people of people told me to be careful if I'm past 43rd Street in West Philly because of crime. However, since I have been here and and past 43rd I see a neighborhood full of good people who have be affected by systematic oppression and need to be heard. Chelsea Gardner: I was born in Trinidad, and the neighborhood where I lived has a high crime rate due to the prevalence of gun violence. Hearing about someone who was killed by a gun was normal to me at a very young age. I joined WTL because a community marred by gun violence should not be anyone’s reality, and I think that WTL’s unique, multimedia approach is sure to call attention to this issue. Before coming to Penn, I heard from Penn students that West Philly is a dangerous neighborhood. I also listen to Philly artists such as Meek Mill, and when he raps about his life in Philly, he paints a violent image. While West Philly may have a high crime rate, I think that the people in the community are positive and optimistic overall about improving the community. Benjamin Finkel: I joined WTL because I hope to use videography and documentary to create positive change in the Philadelphia community. I’ve lived in the suburbs of Philadelphia all my life, so my image of the city hasn’t changed from just going to Penn. However, since I have met people at school from different parts of the country and the world, I have become aware that Philadelphia is often seen as a dangerous city. Within the Penn bubble, it’s easy to assume it’s unsafe to venture beyond 50th street. While crime and gun violence are complex and pervasive issues, they don't define the communities of Philadelphia. It’s the individuals who live in these communities that define them, and that’s one of the reasons why documentation, community outreach and civic engagement are so important — to raise awareness not simply of the violence itself, but the stories of the people affected. Britney Firmin: I decided to join WTL because I believe that this organization will allow me to both connect with and explore the differing environments of the West Philadelphia area. Stepping outside of the Penn bubble will allow me to get in touch with the narratives, stories, and distinct histories of residents that may often be overlooked and even underappreciated. In particular, police brutality and gun violence are two social justice issues that I am fairly passionate about. Being part of WTL enhances my awareness about the detrimental effects of gun violence and allows me to connect with individuals who can offer perspectives on how violence has affected their lives. I want to explore the more personal and intimate perspectives of community members and allow them to share their unique and distinct stories. Before coming to Philadelphia and attending Penn, I didn't necessarily have my own pre-conceived notions on what West Philadelphia is truly like in terms of the environment and community atmosphere. The common notion that I tend to hear is that West Philadelphia is an especially "unsafe" and "dangerous" area, but so far these assertions have not yet compared with what I have seen so far. I hope to further explore the many communal characteristics of this new environment over the course of this year, and understand the reasoning behind the negative stigmas attached to West Philadelphia. Myrabel Gbe: I decided to join WTL because I wanted to be involved in an organization that would allow me to reach out to communities outside of Penn’s campus. While gun violence has never directly affected me, I think it is important to make an effort not to ignore this issue-- although that can be very easy to do when going to a school like Penn. I feel that it is necessary to try to provide a platform for people to share their stories and talk about the effects that gun violence has on them because they may not be able to do so otherwise. Anytime I heard about Philadelphia back in Maryland, the topic would concern food, tourist attractions, entertainment or sports. Thus, coming into Penn, I had never even considered the violence occurring a few blocks away. While I knew that gun violence was a problem in Philly, as it tends to be in a lot of cities, I also knew that I would be relatively safe on campus. Since I’ve been at Penn, I haven’t noticed a major difference between my hometown in Silver Springs, Maryland and West Philly. 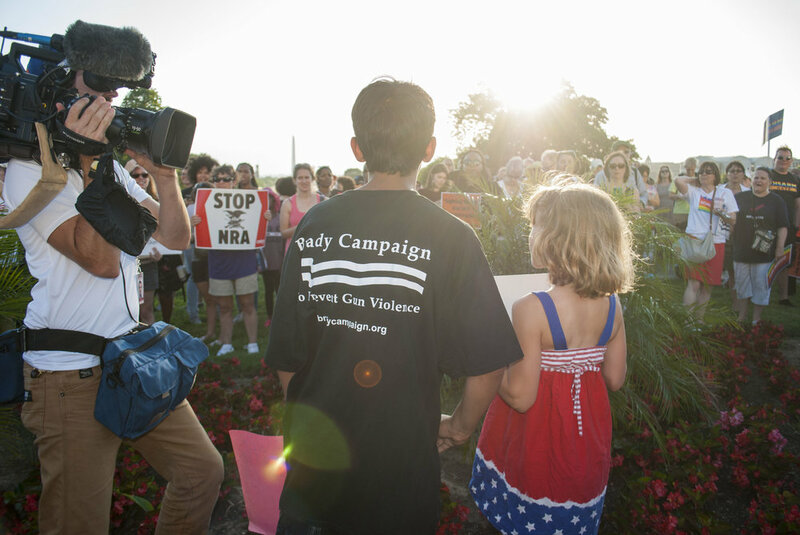 Noa Jett: Gun violence is an issue that has affected my life, and I am passionate about it. I was drawn to WTL because of the unique way it brings UPenn students together with the West Philly community. I like how the focus is on learning about the experiences of community members and how art is incorporated into activism. Before I arrived on campus, I had heard a lot of stereotypes about West Philly. I heard that it was dangerous and that I shouldn't go too far off campus. I participated in a pre orientation program before the semester began and was able to go into West Philly with the program. We met with several community groups and learned more about the area. I really enjoyed getting to know residents and hearing their stories. Since I have come to campus, I have not felt unsafe. I am eager to explore and learn more about the neighborhood and WTL is a great opportunity to do that. Mikayla Mitchell: I decided to join WTL as a way to learn more about the community that surrounds where I live and the issues that plague its residents, such as gun violence. I wanted to join a club that would allow me to step outside of the Penn bubble and truly learn about the city of Philadelphia, not just the sections of University City and Center City. Before coming to Penn, I didn’t really hear much about Philadelphia, besides the fact that I should stay away from North and West Philly. As I’ve explored other parts of the city, the stereotype that West Philly is extremely unsafe and crime-ridden seems to be a little untrue. West Philly actually reminds me of some parts of New Jersey and I think more people should explore it to remove that negative stereotype from their conscience. George Porter: I joined WTL because it is one of the few student organizations at Penn that emphasizes community involvement. Interacting with people in West Philadelphia, as WTL does through its interviews and events, is the only way to work towards improving the lives of people in West Philadelphia. It’s a simple principle that many groups with noble causes overlook. I was also drawn to the humility of the organization's mission. I admired WTL's philosophy of letting victims of gun violence speak for themselves instead of having college kids speak on their behalf. Although I’m from a city with an enormous gun violence problem of its own, gun violence has never affected me personally. Gun violence isn’t an indiscriminate menace: those who perpetrate it and are victimized by it tend to be an extremely small part of a city’s population. That’s how I figured things were in Philadelphia, too. I knew there was plenty of violence here, but I assumed it was happening far away in North Philly and wasn’t really my problem. In reality, many West Philly neighborhoods are among the most violent in the city. Learning this didn’t scare me, but it did make me take WTL’s mission more seriously. It’s harder to turn a blind eye to a problem like gun violence when it affects people so frequently in such close proximity to you, even if it tends to happen in neighborhoods you don’t usually find yourself in. Alexandra Schanne: I joined WTL after hearing about it from my roommate. It really spoke to me, after living close to Philly all of my life and spending so much time in the city. All of my life, I have always heard about people dying in my home, and it makes me ashamed that some people are so scared of the city that I love because of the bad reputation we have when it comes to guns and violence. Jazmyne Smith: I'm from Kansas City, Missouri where gun violence is a part of our daily lives. Recently, Kansas City was ranked one of the seven most deadly cities. Unsurprisingly, Philadelphia was also on this list. At home I participated in a teen radio show where we often raised awareness about issues relating to violence. I chose to join Where's The Love Philadelphia because I want to continue to help give a voice to those affected by it and create a much needed change. Jammil Telfort: I joined WTL because I wanted to get involved within the greater Philadelphia community in an area that I have not been previously involved in. While I am aware of the severity of gun violence in our country, I know little about this issue in Philadelphia. I think it is important for me to stretch myself and become a giving member of this community since I will be getting so much from it over the next four years. Before coming to Penn, I heard very little about West Philadelphia in particular. I was told that Philadelphia is a great college city overall and that I would enjoy living there. However, I do remember one particular teacher of mine telling me that this area was very dangerous when he used to live there. Since I’ve been at Penn, I hear a lot of people saying that anything past 40th street is an off- limit zone. Students at Penn seem to be afraid of even stepping a block off campus. While I have heard of some crime in the nearby area, I just have not seen enough to make me believe that West Philly is as dangerous as some of the Penn community makes it seem. Toni Walker: I joined Where’s The Love, Philadelphia? because I want to be a part of an organization that engaged in real conversation with the city of Philadelphia about the issues they face. I want to get testimonies directly from community members and explore the solutions that they have to offer. Before coming to Penn, I hadn’t heard much about specific issues that Philadelphia is facing. However, after spending time here, I realize that Philadelphia faces issues such as gun violence, city gentrification, and a poor public school system. Arianna White: I joined Where’s the Love,Philadelphia? because as a college student at the University of Pennsylvania, I wanted to connect with the community outside of the campus. I also wanted to make a difference in the community by contributing to a platform for people in West Philly to talk about how gun violence has affected them and to spread awareness about the effects of gun violence. Before coming to Philadelphia, I didn't know what to expect because I lived in the suburbs all my life. I haven't explored the city a lot yet, but from what I've seen I love it already. The city is beautiful, the people are nice, and there's always something to do. We're pleased to present a new collaboration with an awesome class of seventh graders who want to make a change in Philly. This spring, WTL visited Ms. Taryn Noll's seventh grade service learning class at World Communications Charter School, where students had chosen gun violence as a topic they wanted to focus their class around. 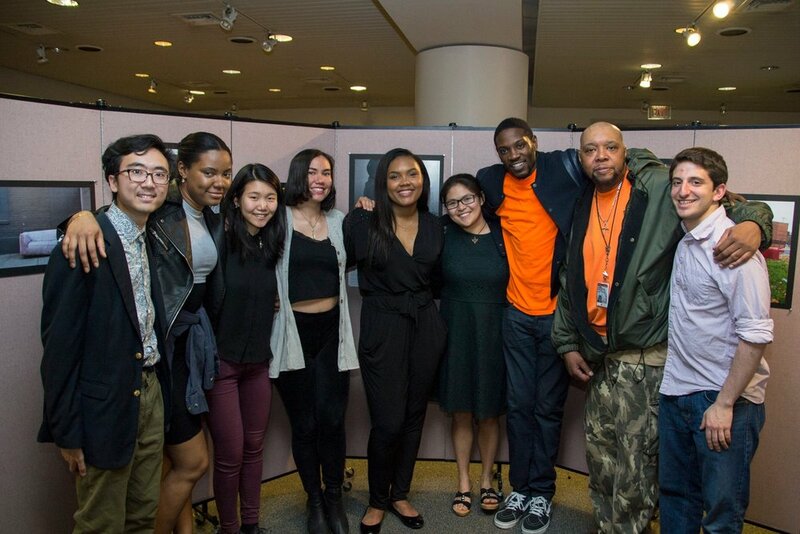 Throughout the year, they did research, created murals, invited guest speakers, and offered support to peers who had lost loved ones to gun violence. 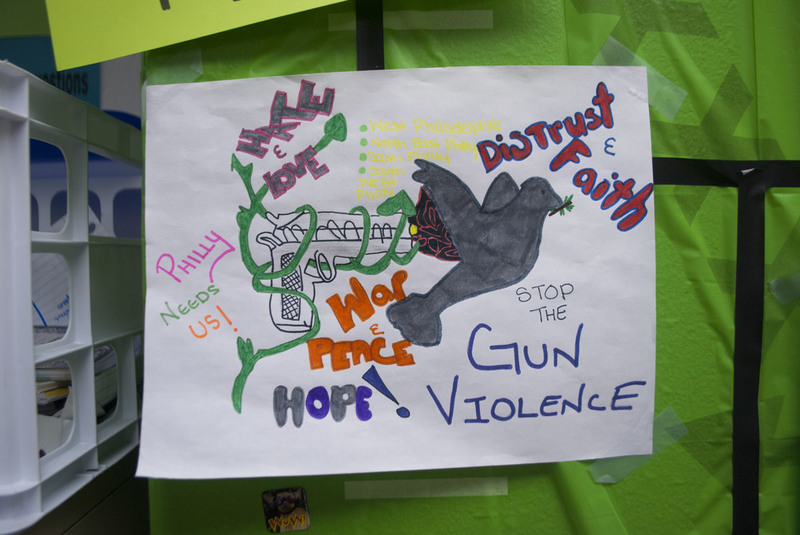 During our visit, we talked with the students about gun violence: what we'd observed and learned through our project, what they'd observed and learned through their projects and their lives. Each class was working on a final project: a video about gun violence in Philly. It was great to see how they combined their experiences with what they'd learned in class, and how much they wanted to share this with others. Please head to the collab page to check out their final products, and view more pictures from our visit! This fall, we're hoping to stay in touch with some of the WCCS students and interview them so that we can share their perspectives on our website. Thanks so much to Ms. Noll's class for welcoming us, and we look forward to working with you in the future! UPDATE: Thanks for all who came out to the show! 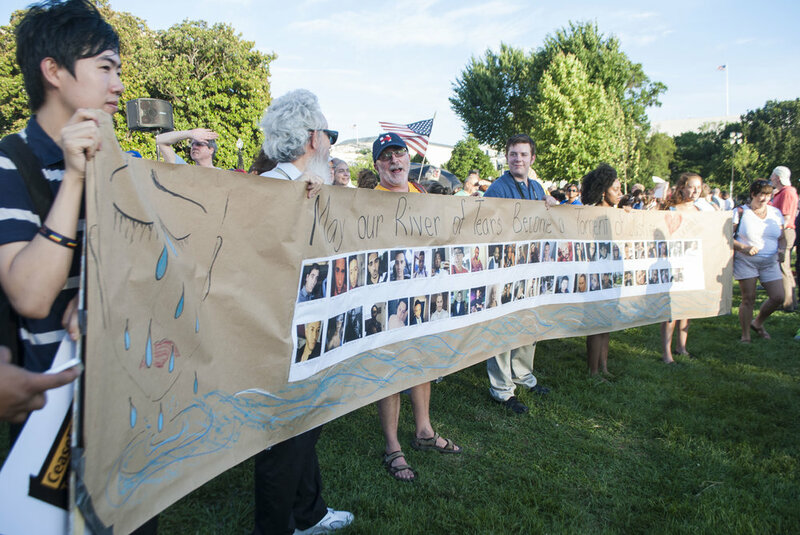 Check out photos from the event and read more about it in The Daily Pennsylvanian. Where's the Love Philadelphia is excited to announce our upcoming photo gallery show and open mic night, in partnership with Philadelphia CeaseFire. We hope to bring together community members from all parts of Philadelphia, along with nonprofit leaders and students, to raise awareness, share thoughts, and learn about an issue that affects us all. Work from our website will be featured, along with an open mic where all are welcome to share music, poetry, or thoughts about gun violence and related issues. The event will take place on Saturday, March 26th from 7-9 PM in the Terrace Room of Claudia Cohen Hall at the University of Pennsylvania (249 South 36th Street | Philadelphia, PA 19104) , and is free to all. Please email wheresthelove.philadelphia@gmail.com with any questions or for more information! Let us know if you're planning on coming here or via the Facebook event page. When government at the city or state level fail to sufficiently provide essential social services to Philadelphia residents, nonprofits step in and fill the gaps. "Living for the City" is ENGAGE Philadelphia's second annual status report, and it includes a project update for Where's the Love detailing our past year, in addition to other exciting updates from ENGAGE. One of the most rewarding things about our work in WTL is the opportunity to interact with the community and learn about issues firsthand. This is an important part of the ENGAGE model, and the status report is full of research and updates from projects that share our community-based approach. It includes project updates for Engage for Change, a civic education program for high school students and the Job Access Initiative, which focuses on economic opportunities and empowerment. In addition, two summer research reports focus on the school-to-prison pipeline for African American girls and the educational opportunity gap in Philly high schools (by our creative director, Tia Yang). Please head to the newly renovated ENGAGE website to check it out! We are very excited to announce that as of today, our Kickstarter campaign has started to raise funds to support the running of this website. The drive will last for 30 days. Please help spread the word. We ask that each participant contribute a minimum of $1.00 towards our project. If 120 people donated $1.00 within thirty days, we can have this site run publicly. For the students who do this project, their efforts are a labor of love. They do not receive any monetary compensation. From the inception of this project to its current maintenance, everything was developed from the ground up. We're really building on the network we've created with residents of North Philadelphia and non-profit organizations dedicating to addressing the issue of gun violence in these neighborhoods. These networks are integral to our collecting and producing of narrative content. Student participants learn through hands-on engagement and those we've interviewed and partnered up with, are entrusted with the opportunity to voice their opinions and be represented. We want to continue their representation, but we want to see others demonstrating that they, too, stand with us and are in support of, our project!